The YoYo loach is a freshwater fish from the family of loaches called Botiidea and found in slow-moving rivers and lakes in Indian and Pakistan. It is commonly found in The Ganges which is an Asian river that flows through Indian and Pakistan over 1500 Miles long. This fish has even been seen in Nepal. The name Yoyo Loach is said to have been given by Photographer Ken Childs, who worked in the aquatic industry for more than 20 years. He named this fish Yoyo loach due to the patterns on the bodies of juveniles which looked liked Y’s and O’s in shape. Hence the name Yoyo Loach. Some people say he gave them this name due to the fact that they are very active and bounce up and down like a yo-yo. The real reason is still unknown but we like the name. 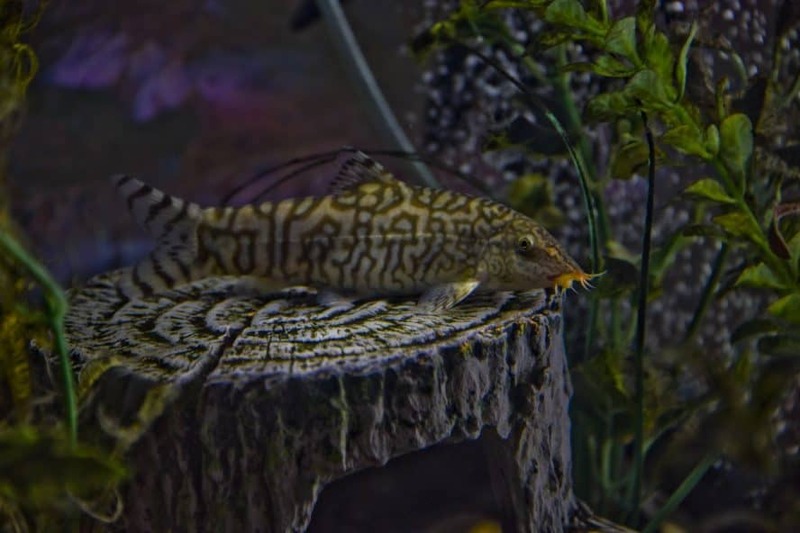 These fish are also known by several other names like Reticulated Loach from its giraffe-like pattern, Almorha loach and Pakistani Loach from its place of origin. There is two type of Yoyo loach one from India and the other from Pakistan. The fish from Indian seem to be a bit brighter in color and a little bit more striking in their patterns. Let’s have a closer look at this amazing freshwater loach and see if it’s right for your tank at home. Common Names Pakistani Loach,Almorha loach,reticulated loach. Where do Yoyo Loach Come From? The Lohachata Botia Loach ( yoyo loach ) comes from Indian and Pakistan. It can be found in Ponds, lakes, and streams in these locations. These fish don’t like fast flowing water, they prefer slow-moving or even still waters. In their natural habitat, they feed on insects and some plant matter. In an aquarium, you should provide a gentle water current. First found in the 1920’s and introduced to captivity shortly after. They enjoy caves and dark holes to retreat into and sleep inside. They are Active scavengers and love nothing better than rummaging around in the rocks and gravel bed for food. Juvenile fish have a different appearance from adults. These fish can be identified by the four pairs of barbels around their mouth and their gold and silver body with black patterns. Juveniles display stripes and as they mature the stripes turn into patterns and you can then see where they got their name Yoyo Loach. If you look closely in mature adults you can see the Y in the body patterns. Maybe this is the real reason they were named Yoyo Loach. In the wild these fish can grow to over 6″ but in captivity, they rarely grow bigger than 3-4″. The Lohachata Botia Loach is sometimes referred to as a scaleless fish. However, they do in fact have small scales that are embedded in their skin. This fish has a hidden spine located just under their eye that is tucked away in a skin pocket which is hard to see. If this fish feels under threat or stressed it can deploy the spine which is sharp like a needle. This is a form of protection and stops the fish from being eaten by predators in the wild. When purchasing these fish from the pet store or aquatic store you would be well advised to ask them if they can double bag your purchase. If these fish become stressed in transit they will deploy the spines and often burst the bag. Also transferring these fish from bag to tank can be tricky as they often get stuck in the net when the spine is out. It’s always best to catch or transfer them using a bag or plastic jug. Never try to catch them with your hands as the spine could prick you and could cause infection. Are Yoyo loach difficult to keep? They must be kept in groups of 5 or more due to their natural shoaling nature. They have a complex social network amongst themselves and need to be in large groups to thrive. Anyone who tells you they can be kept on their own is wrong! You could, of course, keep one on their own but it would not have a happy life in captivity that they deserve. They can become stressed and isolated and we would consider it cruel. If these fish are unhappy they become more aggressive by nature. Do you keep cichlids? If so read our review of the Top 10 cichlid foods here. 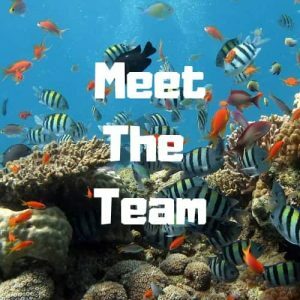 If the right environment is obtained then you’ll have no problems keeping these fish in a community aquarium but it must contain similar natured fish with semi-aggressive behaviors. They are not predators but can be aggressive in the wrong environment. Just be careful keeping them with long finned fish as they may try to nip their fins from time to time. Barbs and Danios make perfect tank mates. Soft and acidic water is best for these fish and temperatures of 22-28 deg C (72-82 deg F) are perfect. The substrate should be fine gravel or sand to help protect their delicate sensory barbels when digging around on the tank floor for food. Provide plenty of caves and hiding places for them to rest. They love Natural Bogwood to live under and this type of natural wood also helps to provide the correct pH conditions of around pH: 6-7.5. Regular water changes are a must, 15% a week minimum is the recommended amount and subdued lighting is preferred. Clean, well-oxygenated water is the key to their success in the home aquarium. Yoyo Loach ( Pakistan loach) with really thrive in the right conditions and it’s a joy to watch them grow. Since these fish have the capability of growing to 6″ ( rare in captivity) a tank of at least 4-5ft is standard. They not only need places to hide but also need space at the front of the tank to swim in open spaces in the little shoals. This is a beautiful sight and fascinating to watch as they interact with each other. Don’t be surprised if when first introduced to the aquarium you don’t see these fish for a while. They often hide in the grave/sandbed or within rocks for the first few days, but slowly emerge once they build in confidence. What do Yoyo Loaches eat? We found that our catfish loved Hikari Sinking Catfish pellets they are a personal favorite with all my catfish. It’s the way they slowly soak up water and become soft. This makes them perfect for every type of catfish, some catfish like to chew at the pellets whilst they are still hard and others like Corys like to start eating them when they are soft. Algae wafers, frozen foods and dried foods like mosquito larvae, brine shrimp, daphnia, mysis are all eaten by Yoyo Loach. Yoyo loach will make short work of aquatic snails in your tank. To maintain good health, provide a variety of foods. Provide them with a selection of foods from the ones above and give them live foods from time to time. It is never a good idea to feed them live foods every day due to the high protein content but a couple of times a week is a nice treat. These fish, once acclimatized to your aquarium will feed on most foods. They are easy to feed but just remember to not overfeed any fish as this is the number one reason for poor water quality. It is very easy to overfeed these fish as they have a large appetite and are always looking for food which can trick you into thinking you need to feed them more. 2-3 small feeding portions a day is fine. Never be tempted to feed them more than that. Both sexes are very similar in appearance, however, males are generally more slender than the females who become considerably fatter when full of eggs. Males have a red color around their barbels. It is not unusual for mature females to fill with eggs, although they have not been bred in a home aquarium as far as we are aware. It is extremely unlikely that your Yo-Yo Loaches will breed while living in your aquarium. They have been bred in wholesale fish breeding farms in the far east, but most fish still come from the wild and are available in large numbers. These fish are best kept with other species of similar nature like clown loach. Yoyo loach make good tank mates with most fish if they are living happily in your aquarium in a small shoal. The only time they will cause a problem is if they are unhappy when they may become more aggressive. Other catfish will be fine with these loaches. Just remember not to keep these with slow swimming fish with long fins or they may become targets from time to time. These fish can live up to 20 Years so make sure if you have a small shoal of 5-6 you are prepared for a long and happy life together. Siamese Algae eaters is another good tank mate for these fish, mine seemed to have a good relationship with these fish for some reason. Yoyo loach and other loach make great aquarium cleaning fish, they loosen the dirt trapped within the substrate which then floats away for your filter to pick up and take out. With many different common and scientific names this fish can be a bit confusing to talk about, but most people will know what you mean when you say ‘ yo-yo loach ‘. Found in most pet stores and aquatic shops these freshwater fish make a lovely addition to any tank 5ft or over in a little shoal of 5-6 fish. Watching them interact with each other is fascinating and makes you understand why they need to be kept in small shoals. You soon understand why it would be cruel to keep them on their own. Would we recommend buying some Yoyo Loach? Yes! As long as you have a suitably sized tank with soft acidic water with natural wood, Plants and soft gravel substrate then yes definitely treat yourself to a small shoal of these wonderful fish. Please let us know if you have any and how you find keeping them.